Abdominal imaging • 28 years of experience and for the past 18 years the chief of the Department of Radiology at the Clínica Girona. Associate professor at the University of Girona. "Dr. Joan provided my wife with some good and clear advice which convinced her to not undertake an expensive and potentially harmful procedure a profit driven hospital had suggested her to undergo." I have 28 years of experience in musculoskeletal, abdominal, oncology and neuro radiology. For the past 18 years, I have been the chief of the Department of Radiology at the Clínica Girona and an associate professor at the University of Girona in Girona, Spain. Thanks Prof. Vilanova for your extensive report, clear labeled MRI images. You have also went one step ahead by referring to published literature with regards to what is suspected in the images. Additionally, I was very satisfied with your reply to my after-report questions, despite being very long questions. Furthermore, being able to do all this in less than 24 hours is just amazing! Will definitely consult you in the future, and refer friends to you. Also, special thanks to Nataliya Markovska from Diagnose team for her continuous support. I am very-very happy to service diagnose.me and particularly to work of Dr. Joan Vilanova. I am impressed by detailed report in my difficult case, after which I have no more questions. I understand clearly why this doctor have most positive feedback in this service! The best radiologist, thanks again for all your work. I am extremely satisfied! Very fast and competent report, presented in an easy understandable way. Thanks so much for your help in confirming my previous diagnosis! I wish you only the best. 28 Apr 2016, Irina L.
I would like to say very BIG THANK to this professional doctor! He is GREAT Specialist in radiology! I had difficult case regarging interpritation of my doctors from the hospital. But Joan Vilanova explain me all clear! And now I am calm! Very quick report, the clear answers to all my questions after report. VERY BIG THANKS to the Joan, its very great doctor, great web-site! I will be recommend it for all! P.s. Particulary I would like to say THANKS to Nataliya Markovskaya. Natalya, you are very nice and thank you for all! Thank you so much for your super quick response! I greatly appreciate the detail of the report and that all of my questions were answered....so quickly! Thank you!! Nothing else to say just HE is a kind man! A great professor! To be honest I expect better news but is not his fault! He wrote the report in 2 hours. I will have the intervention very soon, he understood how important is the time for me! So far the best colleague I met online! Thank you Professor! Billion stars for you! I really recommend it for everyone! Very prompt and helpfull. Mr. Professor answered my questions witihin few hours. I really do appreciate his likeable manner and responsible approach. Fast response and easy to read report. Comprehensive opinion confirmed original report but added extra detail on recommendation and explanation. Very good report. Happy with the service. If you are looking for a second opinion I highly recommend Prof Vilanova. His explanations are clear and evidence is provided. He has resolved a long burning issue for me. Thank you for your patience in answering the questions that have been worrying me. I have had the most accurate interpretation of my scan results by Dr. Villanova. I am now in the process of referring a family member in Africa to him. The speed and clarity of the report is second to none. I have started on a treatment plan based on your findings and now feeling my muscular strength coming back. Thank you very much Dr. Villanova. I highly recommend Mr Vilanova. Very fast service. The details are very well explained. the report was very details and more important clear and easy to understand. Thank you for your fast reply- your report was clear -easy to understand , very helpful . I would recommend choosing the www.diagnose.me. I am very happy with the service. Fast turn around, detailed medical report with terminology, side explaination and images suitable for layperson to understand. Report concurs with other assesments both imaging and clinical. It was also very nice that he included additional the background information about the condition as well as provinding some insight into the possibe follow up options. Thanks again for the detailled report. Then I am not worried about these cysts anymore and can focus on the other things. Thank you Dr. Joan Vilanova on your fast response and very detailed report. Excellent service, very professional, useful informations, would highly recommend to anyone! Timely response and good comunication. Thanks for the explanatory image (with arrows indicating areas of interest). Many thanks for the detailed report. I'm really impressed by the details you gave me. You answered all my questions in a detailed and very clear way. The report is excellent. Very competently put together. It's written in a manner that a non medical individual can easily understand. I highly recommend this doctor. I write to thank you for providing me with a second opinion on my MRI scan which has both depth and clarity and much more than that provided by both my doctor and the specialist consultant that originally assessed my scans. I have also been very impressed with the speed of response and that my report was completed over a weekend too. The efficient communication between the Diagnose.me operative Nataliya. Dr Vilanova and myself was excellent and was kept informed about the progress of my report throughout the whole process. I up loaded my scan data on Friday afternoon (a process that I found extremely quick and easy) and was contacted the next day by Dr Vilanova to clarify some of the symptoms I had written and on Sunday I received my report including highlighted pictures indicating problem areas. The information provided is expressed in a clearer manner than that of my original and rather brief report therefore I am extremely pleased to have decided to seek a second opinion and especially that of Mr Joan C Vilanova MD, PhD. I feel that armed with this more detail report I am better placed to go back to my doctor and decide how to plan my next move to trying to improve the problems I have. I will also take on board the recommendation to consider physiotherapy as although I have tried other alternative therapies I have not considered physiotherapy before. I am very pleased with the excellent service Dr. Joan Vilanova provides. The reports are very clear and detailed, delivered extremely quick. I would definitely use this service again. Thank you! I found the report very useful and interesting and I will use it to show the doctor at the health centre and hopefully be referred to a specialist. It's interesting to know that what I thought of as a hip problem is probably caused by a lower back problem, hypertrophy of the facet joints. 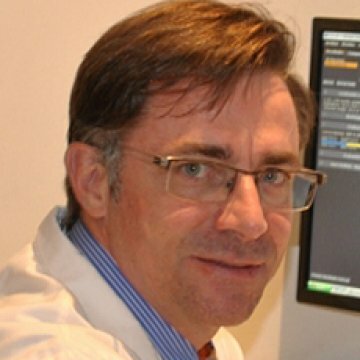 I really appreciate and suggest other to use Mr Joan C Vilanova diagnostic. Not only was the report delivered within the agreed time, which I believe is important for anyone with health concerns, but I was also asked for further information which illustrated to me that there was proper care taken over providing the report. I was very impressed by the service and it is invaluable. A second opinion was very important for me in the circumstances due to the debilitating nature of my illness. I decided to have an MRI as my GP was unable to explain the symptoms, tiredness, clumsiness and confusion I was having. I thought they could be of neurological origin and decided to have an MRI. One reason I chose Prescan was that no GP's referral was needed. I was most impressed with your service particularly as I got the CD before leaving thus allowing me to get a second opinion. Service was friendly and professional throughout. You may quote my name if you wish. My second opinion from Diagnose.me was rapid, detailed and altogether excellent. I was very pleased with it. Very happy with the report sent to me. Explained in good detail what my images showed. Would not hesitate to use again. Thank you. Very quick turnaround with the final report but not before additional questions were asked. These additional questions made me feel more comfortable with the process as they were quite specific. The report was comprehensive, well laid out and easy to read. I was very happy with the doctors service and feedback, I feel reassured there is nothing wrong. I'm so glad I found this service and Dr. J. Vilanova who spend some time asking me questions to get better picture of my condition. Within hours I received very detailed report with an advice for more accurate treatment of my symptoms. I would highly recommend this doctor to everyone who needs a second opinion. I am very pleased with the service. Joan C Vilanova gave a very professional and comprehensive report. Thank you! The report was clear, helpful and in language that I could understand. There was very good constructive advice and it means I am prepared for making decisions and knowing what questions I need to ask before a path for treatment is decided. It also helps to understand why there has been pain. I had used wrong medical terminology and care was taken to come back and clarify what I meant to avoid any mistakes. I would recommend to anyone seeking hip or MSK advice. Really meaningful and thank you. This service is amazing and Doctor Joan C Vilanova gave an extremely detailed reassuring report. i was diagnosed with mild depression and anxiety disorder a few years ago. I had ongoing issues like worsening headaches problems with vision, dizzyness e.g, that lasted months. I contacted my gp due to worsening symptoms and was informed i needed a MRI asap to rule possible neurological issues. Obviously i was terrified that i had something awful. I organised myself to have a test done quickly but was told i could still wait a while for diagnosis which left me in anxious limbo. The MRI technicians however gave me a copy of the scan on cd. I then happened to stumble across this service and doctor Vilanova who promised a response time of one working day. At first i was skeptical but thought to myself what have i got to lose. I submitted the mri images gave a brief report of my symptoms and within 24 hours i was given a detailed report by doctor vilanova that assured me that apart from underlying sinus issues, my scans were fine. I cant explain in words how happy i am and how great this service and Doctor Vilanova is. I have been unwell for a while and I chose Dr Joan Vilanova to review my MRI brain scan. He interacted with me to ascertain specific symptoms. His standard of work is very high and it did not take long to receive my report despite the weekend. Dr Vilanova provided a high quality report and important advice which was very good value. I would not hesitate to recommend Dr Vilanova and I would use his services again. Many thanks for your prompt feedback - while the situation is confusing for me as so far there is no clear explanation for my symptoms, it is reassuring to know that in terms of macroscopic organic pathology we are not missing anything. Thanks again for all your work and quick turnaround !! The quality of the report is superb. I'm absolutely delighted I got a second opinion. The content is very informative and I will act on it immediately. I am extremely satisfied with Dr. Vilanova. I rate him very highly. Dr. Joan provided my wife with some good and clear advice which convinced her to not undertake an expensive and potentially harmful procedure a profit driven hospital had suggested her to undergo. Thankyou for your report. This has completely reassured me that my health symptoms are related to my autoimmune condition. Detailed report given with questions asked. Very happy with excellent service. Would recommend this Dr and use again if needed. I would highly recommend this doctor for a second opinion. He took time to ask a lot of questions about my symptoms and the report was very detailed and easy to understand. Would use this doctor again for a second opinion. Extremely quick turnaround; only a couple of hours. This doctor knows a lot and really gives his own opinion, unbiased and honestly. Reply from Diagnose.me: Thank you very much for your feedback. We are glad you received your report quickly. However, please note that report delivery will vary based on specialist's availability. Please consult specialist's delivery time in their profile. I wanted a second opinion since my physician was not sure what to do. This opinion was very important to make a decision. Dr. Joan C Vilanova was very kind and very professional. The answer was very accurate and carefully written. In the future, if needed, I will come back here for a diagnosis. Excellent service and precise interpretation of my MRI which differs from my primary radiologist impression. This service is excellent, reliable and the radiologist gave a very clear interpretation. Publication:. Ultrasonics; julio de 2008;48(3):169-81 Authors: Martí R, Martí J, Freixenet J, Zwiggelaar R, Vilanova JC, Barceló J.
MR imaging of lipoma arborescens and the associated lesions. Publication: Skeletal Radiology; septiembre de 2003;32(9):504-9. Authors: Vilanova JC, Barceló J, Villalón M, Aldomà J, Delgado E, Zapater I. Publication: Seminars in Ultrasound CT MR. junio de 2007;28(3):184-91 Authors: Vilanova JC, Barceló J, Puig J, Remollo S, Nicolau C, Bru C.
Publication: Rev Neurol. 16 de diciembre de 2011;53(12):765-6. Authors: López-Pousa S, Vilanova JC, López-Ojeda P.